College Footballs National Championship II (Sega Genesis, 1995) Fantastic Cond. College Footballs National Championship II (Sega Genesis, 1995) Still Sealed! College Footballs National Championship II Sega Genesis Video CART ONLY!! 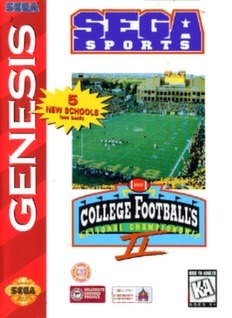 College Footballs National Championship II - game only - Sega Genesis!